Cambridge Therapist: Jonathan Goldberg - Therapist 02139. Send A Message To Dr. Goldberg. Life Changes Group is an integrative therapy, psychopharmacology, and consulting practice dedicated to providing the highest quality of psychological care for children, adolescents, adults, and seniors. Our friendly and experienced team of doctors offers the best, most evidence-based practices in the treatment of psychiatric illness, neurocognitive assessment, educational testing, and school consultation. Our clinicians focus on the integration of treatment, education, collaboration, and partnership to help individuals, couples, and families reach their goals and improve the quality of their lives. Our main focus is Cognitive Behavioral Therapy, and we are one of the few practices in the Boston/Cambridge area to offer specific, guided, and collaborative CBT support for clients of all ages and backgrounds. If you have suffered from a anxiety or depression, and have found the typical psychotherapy approach ineffective, our clinicians offer specific strategies to reduce your symptoms. We pride ourselves on using collaborative, research-supported models for returning clients to their normal levels of functioning, including cognitive reframing, stress-reduction (e.g., diaphragmatic breathing, meditation, progressive muscle relaxation), guided exposure, and biofeedback for understanding your body's response to stress. We combine compassionate listening and active intervention to produce lasting, life-changing results. 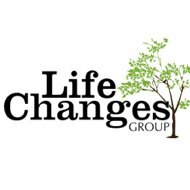 Life Changes Group recruits the best and the brightest clinicians from around the country to provide consultation, assessment, and psychiatric services to our clients. All of our clinicians have been carefully selected based upon our mission to provide the highest quality healthcare without exception. All of our staff have been trained at APA-approved doctoral programs and are actively involved in teaching, research, and publication. Many of our clinicians have faculty appointments or are otherwise affiliated with respected hospitals and institutions in the greater-Boston area, including: Harvard Medical School, Massachusetts General Hospital, and University of Massachusetts Medical School. Our doctors provide comprehensive services to address the emotional needs of individuals, couples, families, and blended families. We are LGBT-sensitive and work with many clients whom have found traditional psychotherapy approaches an unwanted judgment of their personal decisions and lifestyle. In addition to focused behavioral therapy, we also offer medication management, neurocognitive testing, and group psychotherapy so that clients are not forced to "shop" for different services elsewhere, but can feel comfortable in knowing that all of their treatment providers are working in tandem to support their emotional needs. We are client-driven and client-focused.